As technology evolves, stories that had once seemed like stuff of imagination and film lore are now becoming a reality. The boundaries between the physical and digital world are dissolving to create a seamlessness that is both heartening and disconcerting at the same time. 1.Holographic Protestors: People have and will always raise their voices in protest of what they think is unjust and unfair. However governments are taking extreme steps to prevent mass congregations of protestors. Spain is about to implement what has become known as a “gag law”. The Citizens’ Security Law aims to eradicate unauthorised street protests, giving a maximum 600,000 euro fine to participants, a 30,000 euro fine for distributing unauthorised photos of policemen, and even a 30,000 euro fine for covering your face in a demonstration. A Spanish protest group has created a “protest, that isn’t a protest” with nobody actually present. Instead, thousands of holograms did the legwork, protesting outside the lower house of Spain’s Parliament. These holograms provided a reminder to the politicians that even with the highly restrictive new laws, protest can still happen – just without protesters risking having their bodies on the street. 2. 3D billboards: Times Square has long since been hailed as the Mecca of outdoor advertising. Now it is about to get a whole new look thanks to the latest in marketing displays. 3D digital billboards (more technically called outdoor autostereoscopic displays) will soon dominate the intersection, sending their very visual images jumping out at the passers-by. Moreover, the 3D images will be visible to anyone in a 10 to 70 meter range, without them having to wear special glasses. The images are projected using high-powered lasers, meaning that they will be visible even in harsh sunlight. The technology works by producing two distinct images, one for each eye. This gives another possible use for the displays. At times, instead of creating a full-blown 3D image, it is possible to have two distinct images on the billboard. The particular picture any person saw would depend on where they were in relation to the screen. There could be different adverts visible for people coming out of different shops. 3. Google Fibre TV Ad Platform: At some point of time we have all been creeped out by the way Internet advertising seems to read out minds. Today most of us know this is the work of cookies and how to avoid/ get rid of them. The only safe zone seems to be traditional TV media that still plays ads that may not be relevant to everyone. However this area is soon to lose its mass-ness thanks to, who else but, Google. Google is (finally) trying to replicate the online media approach with television advertising. No longer will you be a passive recipient of televisions ads that someone else decides to serve to you and millions of other people. Now you will be receiving the ads that are most suitable for your tastes and interests. The ads delivered to Google Fiber subscribers will be selected based on a viewer’s geography, the kind of show they are watching and that household’s viewing history. Because the ad serving is so highly customized, advertisers will only be charged based on how many times their ad has been served. Advertisers can limit the number of times that a particular ad plays on a specific TV. 4. Art in the form of virtual reality immersion: Reality shows on exchanging lifestyles have been aired by numerous channels. Now there are people experimenting on not just transplanting themselves in the house, but actually living almost living in the other person’s mind by seeing the world through their eyes and ears. Seeing-I is a very different social-artistic experiment where artist Mark Farid will spend 28 days wearing a virtual reality headset, experiencing life through another person’s eyes and ears. Interestingly Mark knows very little about the man whose life he will be “living” (known as the Input) apart from the fact that he is a heterosexual male who is in a relationship. The Input will be wearing glasses that capture audio and video in an 180-degree field of vision. While the Input will be living a normal life (well, as normal as you can be with these special glasses on 24/7) Mark will spend the 28 days as the “artwork” on public display in an area that simply has a bed, toilet, and shower area. For one hour a day (while the Input is sleeping), the audience will be sent away, and Mark will spend time with a psychologist specializing in neuroscience. As he “lives” the life of the Input, will he begin to think like the Input? Alternatively, will he keep his sense of self? Will Mark begin to take on the characteristics and mannerisms of the Input? Will freewill override everything? 5. Actual 3D displays: What would you say if excel sheets came to life? What would you do if you could actually see the plotting of the Z axis? Researchers are developing the next generation of displays, and some of these have 3D reconfigurable surfaces. Your “flat screen” will be able to deform itself into other more appropriate shapes. They will adapt its shape to the content being presented. If your displays allow pixels to protrude from their surfaces, this creates a whole new ballgame for tactile interaction. Imagine using a CAD program using such a display, or doing terrain modeling where you can create a 3D world at your fingertips. A team at Lancaster University led by Jason Alexander has begun experimenting in this field. They have already created the 3D spreadsheet device (or at least a 10 x 10 interactive bar chart). This can represent data visualization tasks like displaying data, filtering data, and organizing it into different rows and columns. Alright, this is not yet a dynamic flowing touchscreen, but it is a movement in the right direction. Users found it extremely simple to manipulate the data points and compare datasets, when they played with the physical bars on the graph. Although you can easily do this in Excel, the results are so much more vivid in actual 3D. If the technologists at MIT have their way, Kumbh ke mele mein bichadna will soon become a thing of the past. 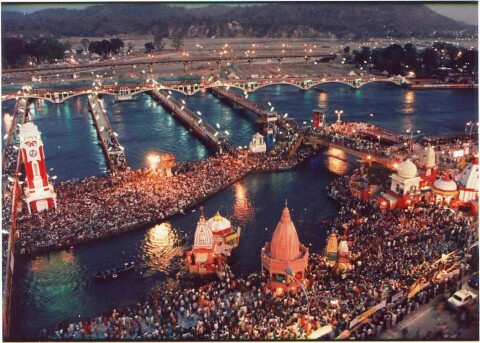 30 million and more people are expected to attend the Kumbh mela in Nashik this year. A congregation size that is a worry and a boon at the same time. Teams are working to modify, leverage and create apps that will enable just about every move at the Kumbh this year. Right from a barcode scanner attendee database that can trace missing persons, to using cell tower signal mapping to regulate traffic control and updating on best and most hygienic places to eat (right down to the time the food was prepared). We only hope that city planners work closely with these teams so that the winning apps can be put to use to manage urban growth in a regular environment.